The role of the elected Treasurer is to serve the citizens of the County by performing all duties set forth by Missouri State Statutes, mainly, but not limited to, Chapter 54 RSMo. The Treasurer is the custodian of all county money. The primary task is careful accounting of revenues and expenditures and allocation of each to the proper fund. of the County's operations, Macon County currently has 44. 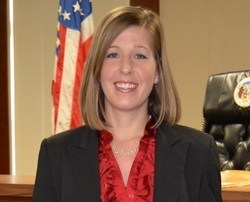 The Treasurer fulfills administrative and executive duties for the County and exercises oversight and caretaker roles in regard to County funds. The Treasurer maintains an office that implements accounting systems that emphasize integrity and quality performance. The County Treasurer strives at all times to maintain good relationships with citizens, fellow office holders, employees, and legislators and assists in any way feasible to enhance county services.